The Millennium Dome, Braveheart and Rolls Royce cars. How do cultural icons reproduce and transform a sense of national identity? How does national identity vary across time and space, how is it contested, and what has been the impact of globalization upon national identity and culture? 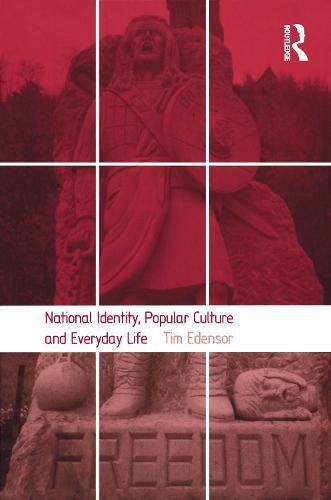 This book examines how national identity is represented, performed, spatialized and materialized through popular culture and in everyday life. National identity is revealed to be inherent in the things we often take for granted from landscapes and eating habits, to tourism, cinema and music. Our specific experience of car ownership and motoring can enhance a sense of belonging, whilst Hollywood blockbusters and national exhibitions provide contexts for the ongoing, and often contested, process of national identity formation. These and a wealth of other cultural forms and practices are explored, with examples drawn from Scotland, the UK as a whole, India and Mauritius. This book addresses the considerable neglect of popular cultures in recent studies of nationalism and contributes to debates on the relationship between 'high' and 'low' culture.